With Professor Simon Horobin, Faculty of English, Magdalen College Oxford. Simon Horobin came to Magdalen in 2006 from the University of Glasgow where he was Reader in English Language. He has held visiting professorships at the University of Connecticut, Harvard University and the Charles University, Prague. 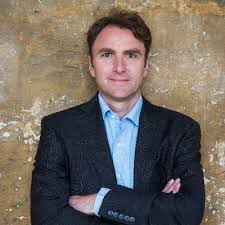 At Magdalen College he is responsible for undergraduate teaching in the English Language and Medieval Literature and also teaches on the MSt in English Language and the MSt/MPhil in English Literature 650-1550. His research interests are in the history of the English Language, especially in the Medieval period. Simon is the author of several publications, including The English Language: A Very Short Introduction; How English Became English: A Short History of a Global Language; Does Spelling Matter? and Chaucer’s Language, amongst others. Please click here to book a seat. With Tracey Follows, a professional futurist working with global clients including Diageo, Google and Virgin on consumer futures and strategies for long-term growth. Areas of expertise include the future of gender, luxury, technology and ethics, media and marketing. 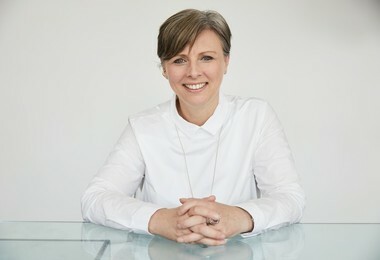 Working in marketing and innovation for over 20 years, rising to CSO at J Walter Thompson and Chair of the APG in the UK, she left advertising to retrain in strategic foresight, attended the University of Houston and set up her own futures consultancy, Futuremade. In 2016 she received the Women in Marketing Special Award for Outstanding Contribution to Marketing. In 2017 she was named Ad Age’s Woman to Watch and BIMA’s Agent of Change. Member of the Association of Professional Futurists, the World Futures Studies Federation and a Fellow of the RSA, founder of the Female Futures Bureau and sits on the Council of the Advertising Standards Authority in the UK. Anna Hickey is Chief Operating Officer of Wavemaker, the UK’s second largest communications and technology agency, owned by WPP. She is an active diversity champion who speaks regularly to the business community in London on topics of gender, social mobility and inclusion. At Wavemaker she leads the business’s 700 staff to provide marketing solutions to brands including British Airways, Vodafone, L’Oreal and BMW. 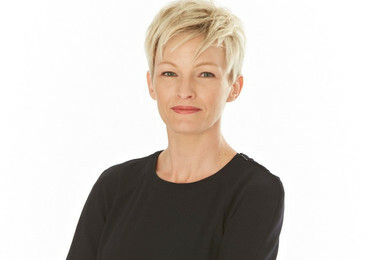 She is a commercial board member for the Institute of Practitioners in Advertising, and a member of the London-based leadership network for Women in Advertising, WACL. 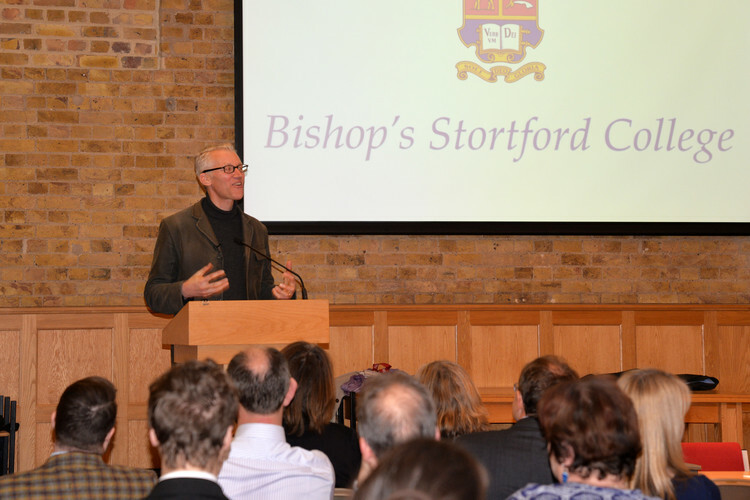 Sam Wells, Vicar of St Martin-in-the-Fields, gave a Ferguson Lecture on Wednesday 20th March, titled What Will Guide Our Moral Compass in a Secular Age? 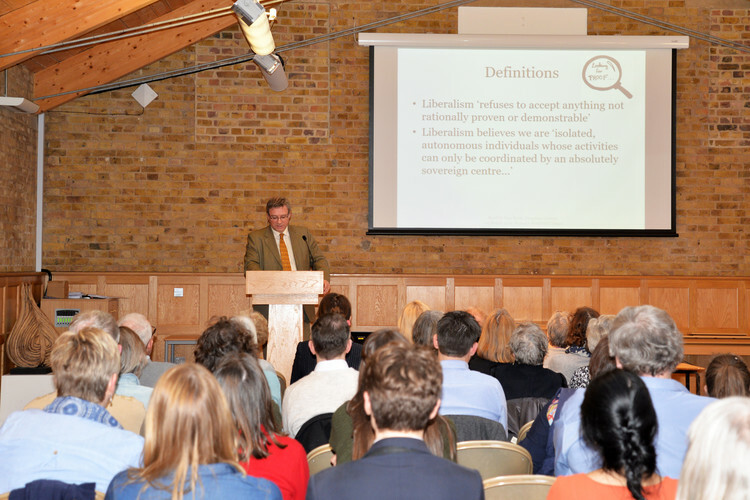 Mr Birchall, who organises the Ferguson Lectures, described the talk as "scholarly, yet accessible, analysis of the need for humans to consider what ethics and respect mean to them in the life they lead in the 21st Century. There never has been a 'golden age', and there never will be, but that should increase our desire to look to others, engage, release potential and build bridges between all humanity. Sam Wells gave a simple example to illustrate this: at the Homeless Centre, which forms part of St. Martin's, they take 'customers' out to the countryside. Last year the party noted a pregnant sheep in labour - the farmer was struggling to help - when a young African male who was part of the group, jumped over the fence and assisted. The lamb was born successfully. The young man was a qualified doctor, but from a country where, as a gay man, he was not encouraged to engage with his fellow citizens. Today, he is a junior doctor in the NHS. So the message is to listen, assist and move from being simply self-focused. You can often catch Sam Wells speaking on Thought for the Day on Wednesday mornings. "What an interesting and thoughtful speech last night....Whether I agreed with what he said or not, was immaterial for me as it introduced (my daughter) to a different world of thoughts and ideas which is what these lectures are for. For the first time ever she wanted to talk politics all the way home and seemed really engaged with what he had to say. It was just amazing to hear her talk in such an interested way about the challenges that her generation will have to face and she is now desperate to come next week. Can I just thank you for giving her, and me, the opportunity to hear form someone who raised such important questions and issues and stimulated debate....It is heartening to think our young people will hopefully have the strength of character to make changes for the better, whatever they may be." "We both thought that last night was a fantastic insight into how it could be all so very different with a huge shift in modern day politics. We are so glad we came, thanks for organising the whole thing." 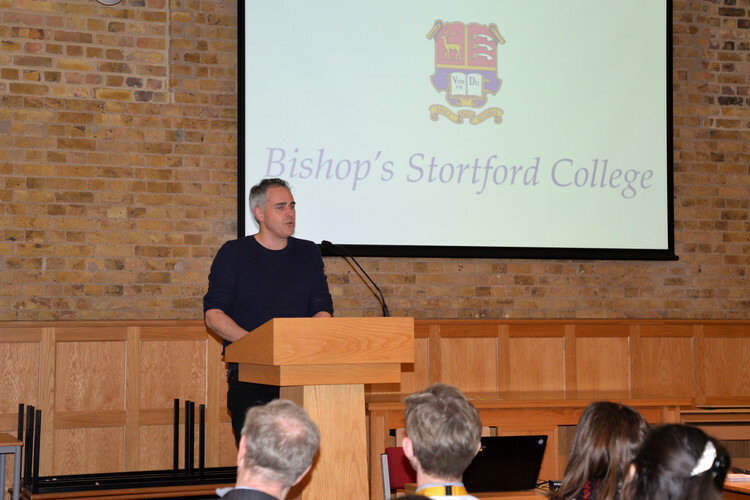 Brendan Simms, Professor of the History of International Relations at Peterhouse College, Cambridge, spoke about The UK Post Brexit in his Ferguson Lecture on Thursday 7th March. 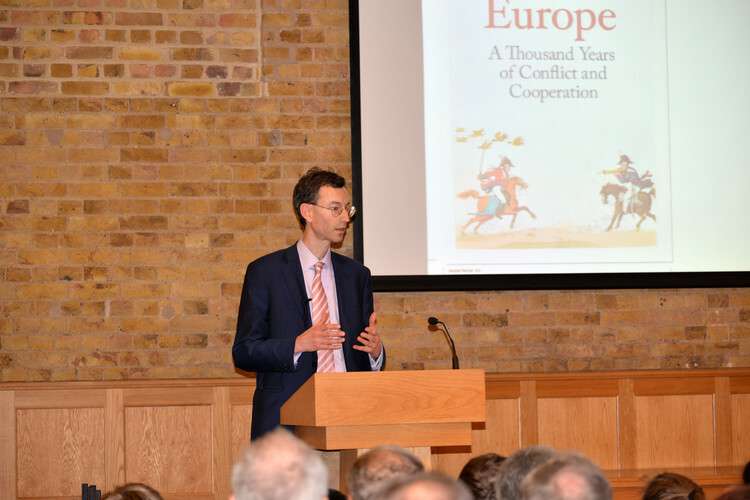 An expert on Britain's relationship with Europe through the ages, Brendan Simms gave a fascinating insight into the historical and geo-political context of the issues surrounding Brexit. 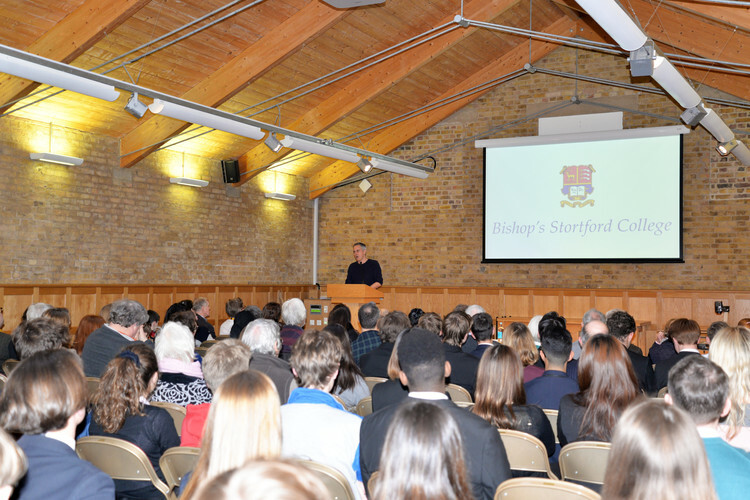 A number of Prep and Senior School pupils attended the talk, with one father commenting, "Harry told me that he really enjoyed yesterday's talk. He said that although he did not quite fully understand all of the topics covered, it made him think and he understood quite a bit of what was discussed. Thanks for organising and inviting him along". Writer, historian and Radio 4 Making History presenter Tom Holland explored the role that both religion and atheism have played in shaping events of the past 150 years in a fascinating talk titled, Nietzshe and Tolkien in the Trenches.